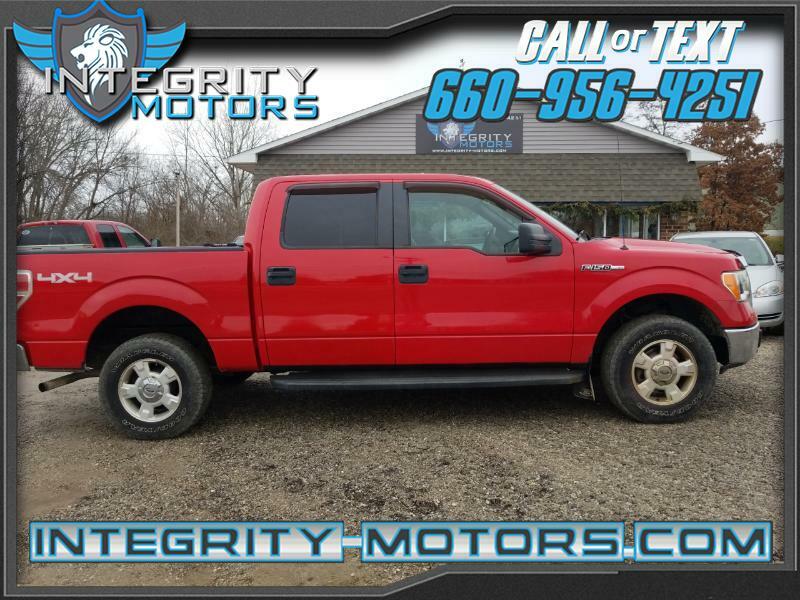 Visit Integrity Motors online at www.integrity-motors.com to see more pictures of this vehicle or call us at 660-956-4251 today to schedule your test drive. All Vehicles are AS IS NO WARRANTY Upon purchase of any vehicle or motorcycle, Integrity Motors is released from all liability and responsibility and damages. Customer assumes all responsibility for vehicles purchased up transfer of paperwork. The buyer accepts this vehicle in the current "AS-IS" condition and waives all warranties including the any dealer's implied warranties about vehicle fitness or merchantability. The seller assumes no responsibility for any repairs regardless of any oral statements. Manufacturer's warranties, if any, may still apply, the entire risk as to the quality and performance of the vehicle is with the buyer and if the vehicle is found to be defective after the purchase, the buyer and no one else will assume responsibility for repair and service costs. Integrity Motors will not be responsible for damages arising from loss of use, loss of time, inconvenience or commercial loss. AS IS: NO WARRANTY In Missouri, a dealer may sell a used car “as is.” There are no specific warranties, and the warranties normally implied by Missouri law do not apply. You are responsible for any repairs on an “as is” vehicle. And remember, Missouri’s Lemon Law does not apply to used cars. Pay attention to the Buyer’s Guide, which the Federal Trade Commission requires dealers to display in the window of each used car offered for sale. The guide gives basic information about the car and includes a warranty section where one of two choices must be checked. The first is “as is — no warranty.” The second choice is “warranty. Warranties are available for purchase at the buyers expense through outside companies at the time of sale. These are available through some loan companies and private purchases as well. The warranties are fully at buyers expense and do not have anything to do with our dealership, Integrity Motors. Buyer has right to purchase and/or decline purchase of extended outside warranty. Upon purchase of any vehicle or motorcycle, Integrity Motors is released from all liability and responsibility and damages. Customer assumes all responsibility for vehicles purchased up transfer of paperwork. The buyer accepts this vehicle in the current "AS-IS" condition and waives all warranties including the any dealer's implied warranties about vehicle fitness or merchantability. The seller assumes no responsibility for any repairs regardless of any oral statements. Manufacturer's warranties, if any, may still apply, the entire risk as to the quality and performance of the vehicle is with the buyer and if the vehicle is found to be defective after the purchase, the buyer and no one else will assume responsibility for repair and service costs. Integrity Motors will not be responsible for damages arising from loss of use, loss of time, inconvenience or commercial loss. AS IS: NO WARRANTY In Missouri, a dealer may sell a used car “as is.” There are no specific warranties, and the warranties normally implied by Missouri law do not apply. You are responsible for any repairs on an “as is” vehicle. And remember, Missouri’s Lemon Law does not apply to used cars. Pay attention to the Buyer’s Guide, which the Federal Trade Commission requires dealers to display in the window of each used car offered for sale. The guide gives basic information about the car and includes a warranty section where one of two choices must be checked. The first is “as is — no warranty.” The second choice is “warranty. Warranties are available for purchase at the buyers expense through outside companies at the time of sale. These are available through some loan companies and private purchases as well. The warranties are fully at buyers expense and do not have anything to do with our dealership, Integrity Motors. Buyer has right to purchase and/or decline purchase of extended outside warranty.